Green thumbs and dirty nails...: A watched pot never boils. Having not taken any leave for six months (heart surgery didn't count!) I was feeling burnt out and loosing my sense of humour at a rapid rate (not good when you're a mental health worker!). Recognising this I took some leave from work and now have the rest of this week to potter around my garden, do some sewing, and spin some wool using my new spinning wheel. Gardening truly is a self care activity for me. It is a way for me to switch off from the stresses of work and spend an hour or two in silence with my hands in the dirt. To create something out of nothing is very special. To produce food that can feed my husband and I, with extra to share with others, feels like a real blessing. P.S Just in case you are wondering how I encourage growth in my plants. The only spray I have used has been pyrethrum and that was only on the kale. The rest is all natural. I fertilise the soil by pumping the dirty water from the duck pond onto the garden once a week. 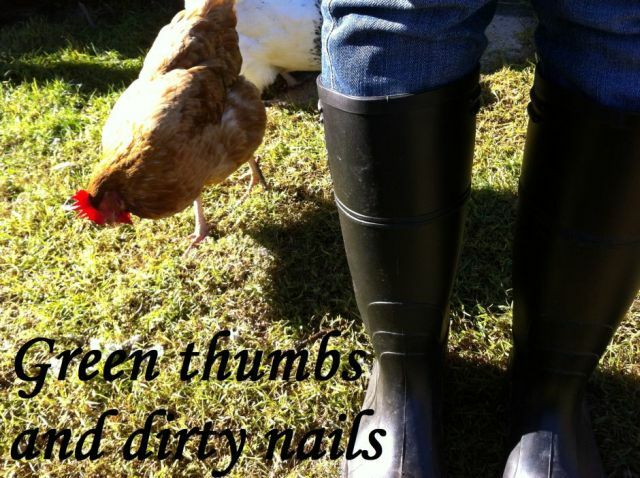 I also add compost and chook poo as needed. I use bore water to water the garden three times per week via an irrigation system I recently installed myself. Wow. That is a fabulous range of plants. I'm very jealous of your northern climate and being able to have beans and tomatoes flowering and reaching for the sky. Mine have barely begun. I know what you mean about getting into the garden after a tough week, I also find gardening a relaxing and reviving time. Sam it all looks incredible! Watching your garden through this blog, I feel like it's boiling all the time! That duck water must be amazing stuff.